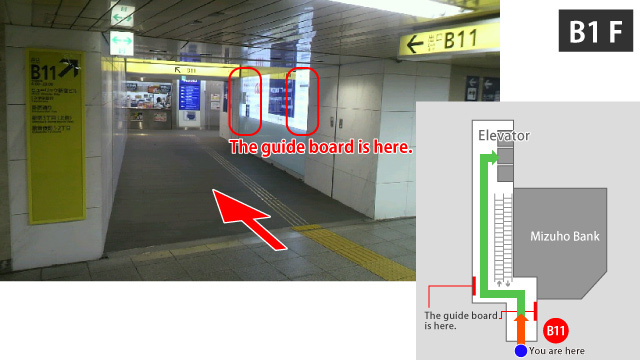 Turn left and go into the building. 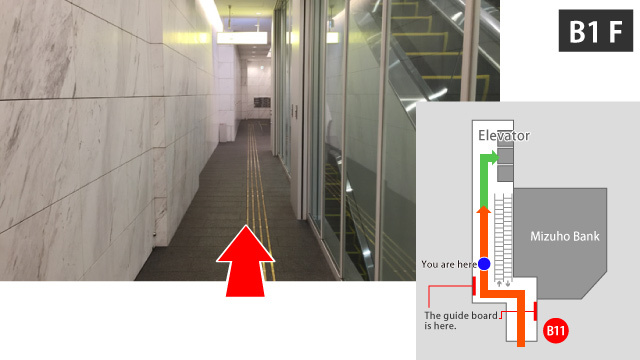 Don't take a escalator, but turn right the corner. 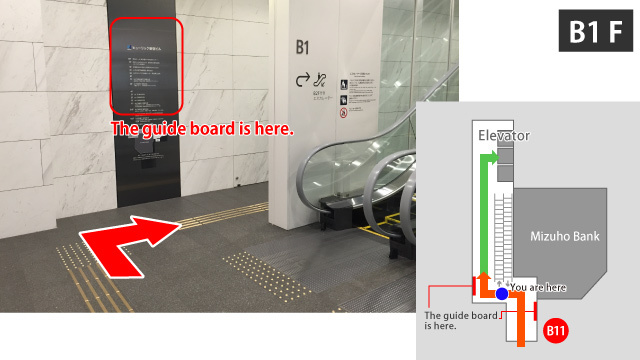 Go straight along the left side of the escalator. 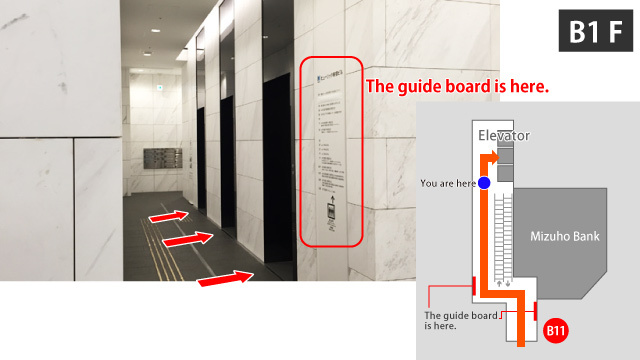 Take an elevator to 9th floor. 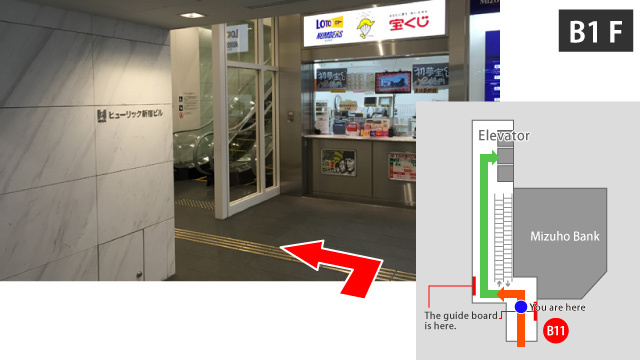 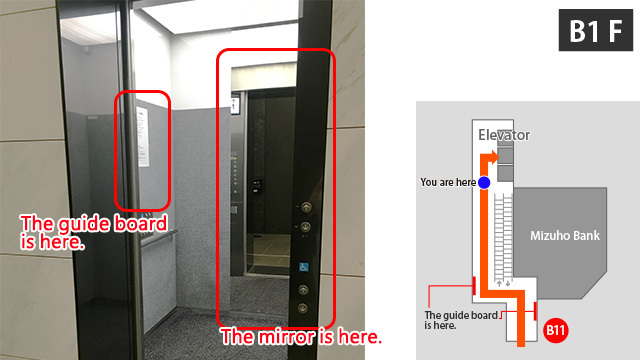 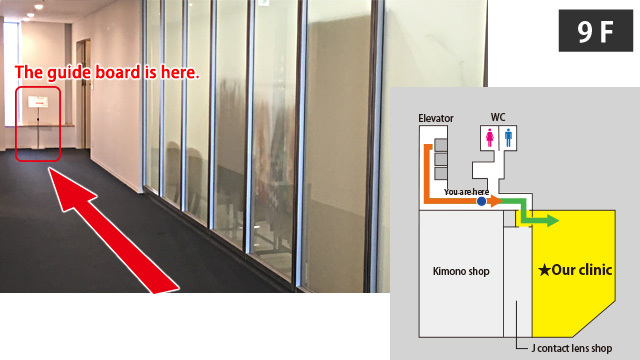 There are a guide board and mirror in the elevator. 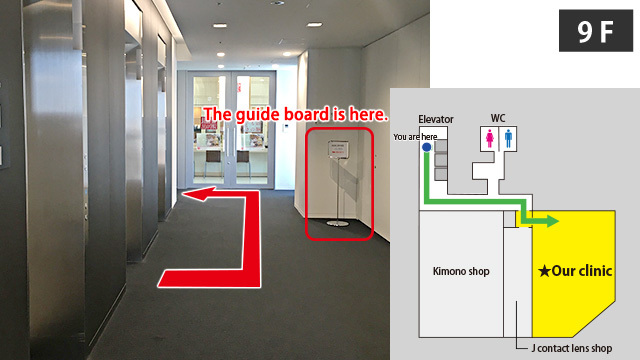 Turn left in front of Kimono shop. 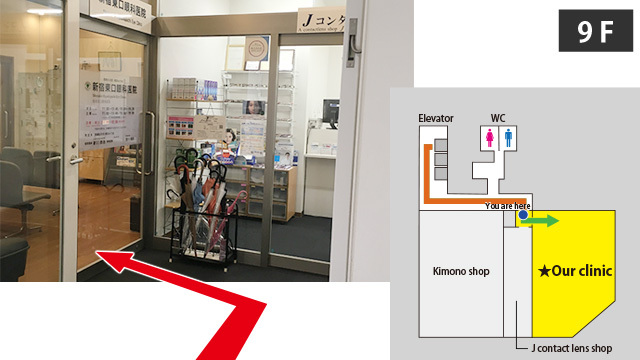 Go straight along kimono shop. 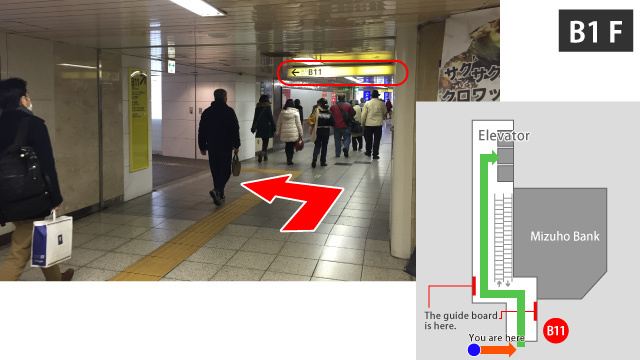 Turn right and go into the clinic. 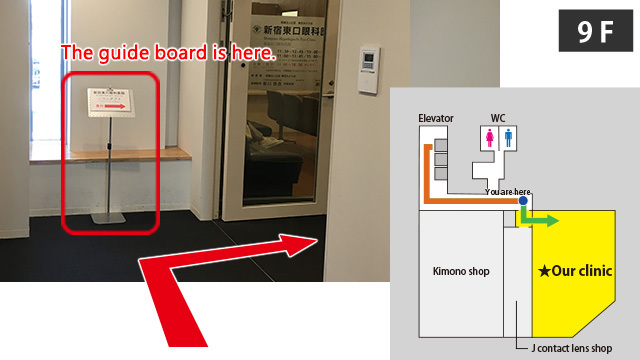 Left side is the entrance of eye clinic.